Wesleyan University Press, 9780819569431, 123pp. Kamau Brathwaite is a major Caribbean poet of his generation and one of the major world poets of the second half of the twentieth century. 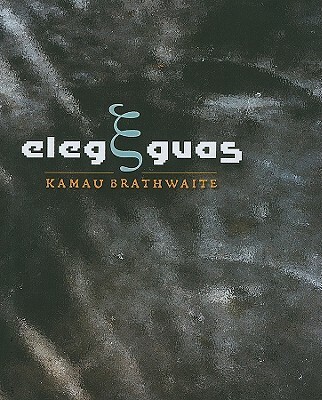 Elegguas--a play on "elegy" and "Eleggua," the Yoruba deity of the threshold, doorway, and crossroad--is a collection of poems for the departed. Modernist and post-modernist in inspiration, Elegguas draws together traditions of speaking with the dead, from Rilke's Duino Elegies to the Jamaican kumina practice of bringing down spirits of the dead to briefly inhabit the bodies of the faithful, so that the ancestors may provide spiritual assistance and advice to those here on earth. The book is also profoundly political, including elegies for assassinated revolutionaries like in the masterful "Poem for Walter Rodney." Throughout his poetry, Brathwaite foregrounds "nation-language," that difference in syntax, in rhythm, and timbre that is most closely allied to the African experience in the Caribbean, using the computer to explore the graphic rendition of nuances of language. Brathwaite experiments using his own Sycorax fonts, as well as deliberate misspellings ("calibanisms") and deviations in punctuation. But this is never simple surface aesthetic, rather an expression of the turbulence (in history, in dream) depicted in the poems. This collection is a stunning follow-up to Brathwaite's Born to Slow Horses (Wesleyan, 2005), winner of the Griffin International Poetry Prize. KAMAU BRATHWAITE, cofounder of the Caribbean Artists Movement, is currently a professor of comparative literature at New York University, and shares his time between his home in CowPastor, Barbados, and New York City.